Spring 2014 issue of At Work now out! Read how individual champions can help organizations turn around underperforming health and safety records. Learn how research at the Institute for Work & Health (IWH) makes an impact in workplaces and policy corridors. 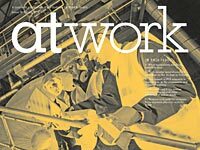 Plus, the decline of work-related musculoskeletal disorders, the link between chronic conditions and health outcomes among older workers, and more. 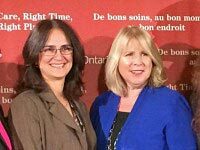 An innovative program was recently launched to connect chronic pain and addiction specialists with care providers across Ontario, with the Toronto Rehabilitation Institute’s Dr. Andrea Furlan as co-lead. Furlan, also a scientist at IWH, says the Extensions for Community Healthcare Outcomes (ECHO) project will help primary care providers in underserved regions treat people with chronic pain, including injured workers. We’ve hit a milestone! 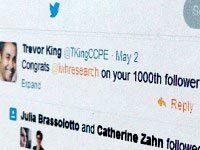 Earlier this month, our Twitter account @iwhresearch received 1,000 followers. If you’re not already a follower, we look forward to being part of your conversation about workplace injury and disability prevention. If you are a follower, do also check us out on LinkedIn. 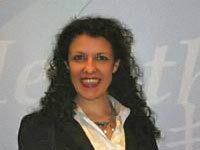 Congratulations to Cathy Esposito, product portfolio manager with the CSA Group and, now, winner of our draw for an iPad mini. Thanks to all those who entered the draw at this year’s Partners in Prevention conference. And thanks to everyone who stopped by our booth and picked up our new handout, 5 Things We Think You Should Know. Institute President Dr. Cameron Mustard will give a keynote address at the World Congress on Safety and Health at Work, being held this year on August 24-27 in Frankfurt, Germany. Organized by German Social Accident Insurance (DGUV), the International Labour Organization (ILO) and the International Social Security Association (ISSA), the congress is an international forum for experts, workers, employers, decision-makers and all others involved in occupational health and safety.